The roof at U.S. Bank Stadium is so minimal that the Vikings can still do a flyover before the game. In an indoor venue. Most of us who care about the Vikings, be it for personal or professional reasons, have grown accustomed to the usual outlets dispensing Vikings news. (None finer than the Star Tribune, which has the award-winning* Access Vikings podcast co-hosted by myself and Matt Vensel. You can check out the latest episode here, featuring an extensive offseason roster breakdown. *Has not won any awards yet. One place most of us are not accustomed to finding anything Vikings-related? Popular Mechanics. More than just bringing the light in, ETFE also ensures the snow will stay out. The lightweight but strong material allowed designers to run a superspan that includes a single 989-foot-long single ridge truss the entire length of the field. It’s set asymmetrically to allow for the sunnier south side of the building to use more ETFE than the north side. The roof that sits over the 1.75 million square foot stadium is one of the lightest stadium roofs in the world, despite its snow load requirements. The roof is so minimal that the Vikings can still do a flyover before the game. In an indoor venue. As a flyover enthusiast, that last sentence is critical. 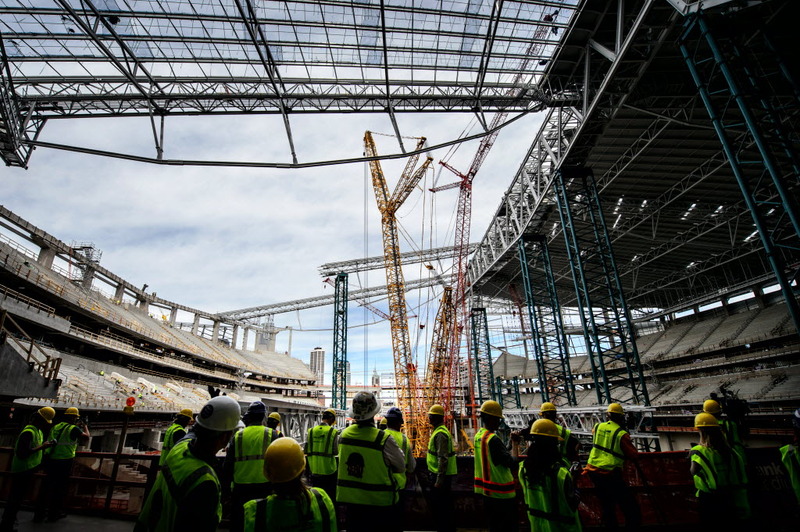 In any event, if you want a stadium construction story written from a slightly different point of view, check out the full article here. What if Mike Zimmer coached every Minnesota team?